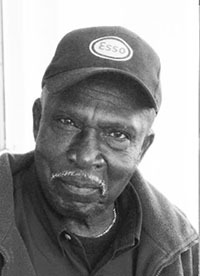 Augustus Funeral Home regrets to announce the passing of Mr. Ronald Austin Hinson Jeffers. A Home Going service for Mr. Ronald Austin Hinson Jeffers, beloved husband to Pearl Jeffers, son of the late William and Daisy Jeffers, loving father to Karen and Nicole Jeffers, Pamelita Webb, Jenefer Brimmer and the late Donna Daley, brother to Pearl Griffiths [late Romeo] [USA], Joycelyn Harley [USA], the late Kenneth [late Olive] and Raymond Jeffers, Viola Flood [late Earl], Elaine White and Gloria Jeffers, in his 87th year of 2 Dudley Lane, Paget will be held at The Hamilton Seventh-Day-Adventist Church, on Sunday, January 20, 2019 at 2:00 pm. Relatives and friends may pay their last respects at Augustus Funeral Home on Saturday, January 19, 2019 from 7:30 pm – 9:00 pm also at The Hamilton Seventh-Day-Adventist Church on Sunday, January 20, 2019 from 1:00 pm – 1:55 pm. Lovingly remembered by grandchildren: Cameron Jeffers, Kaela Daley, Troy and Shawn Brimmer; mother-in-law: late Janie Smith; father-in-law: late Copeland Smith; sons-in-Law: Maurice Brimmer and Silford Daley; brothers-in-Law: Vincent and Howard Smith, and the late James Washington; sisters-in-law: Edith Pearman [late Laurie], Mable Scott, and the late Dorothy Tucker; nieces: special niece, Esther Davis [Clayton] and numerous nieces and nephews; godchildren: Kim Sampson, Wayne Bean, Kirk Simmons; special friends: Joan Simons & Family, Roslyn Minors, Regina Smith [Javone], Brenda Rhoda & Family, Mr. & Mrs. Dennis Brown & Family, Russ Ford, Gene Butterfield, Bermuda Gas & Utility Family, MAWI Family, Port Royal Esso Family.